Tight space in the kitchen? 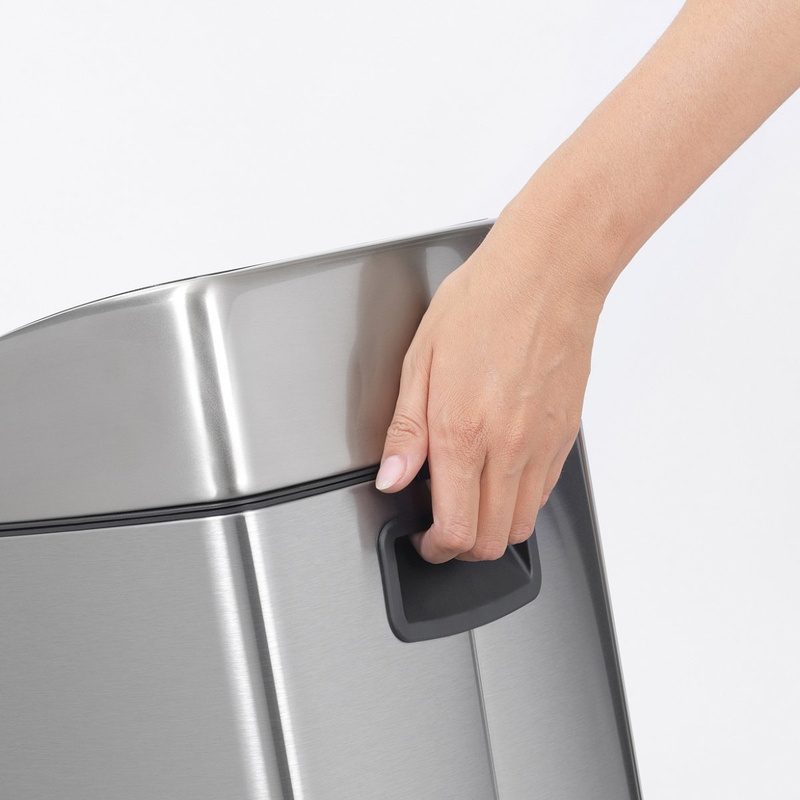 Go with the Touch 25-litre rubbish bin by Brabantia for household waste! 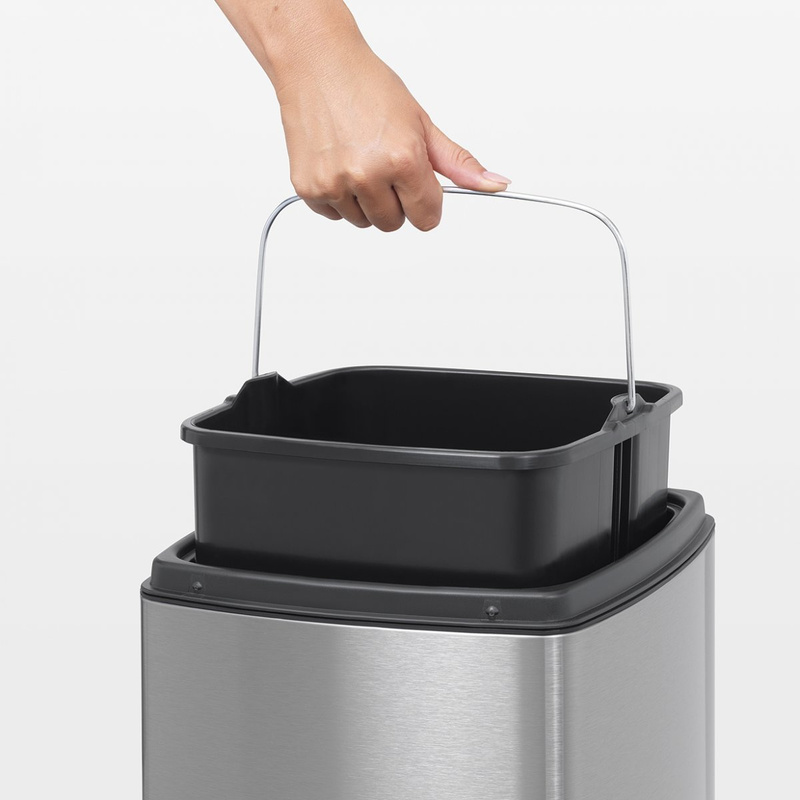 The Touch 25-litre rubbish bin by Brabantia has a particular and innovative design, researched in order to optimize domestic spaces. 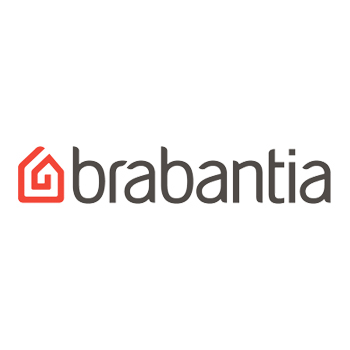 Its rectangular shape with rounded corners facilitates its integration in even the closest of spaces, taking maximum advantage precious apartment and house areas. 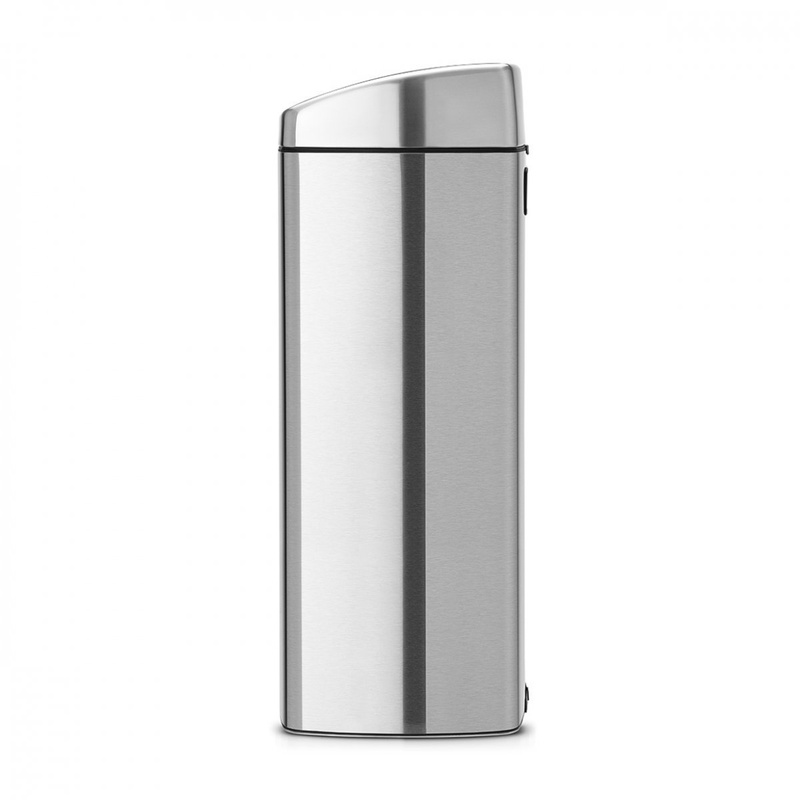 It has a brushed steel FPP finish and is made of particularly wear-resistant material for a 10-year guaranty. 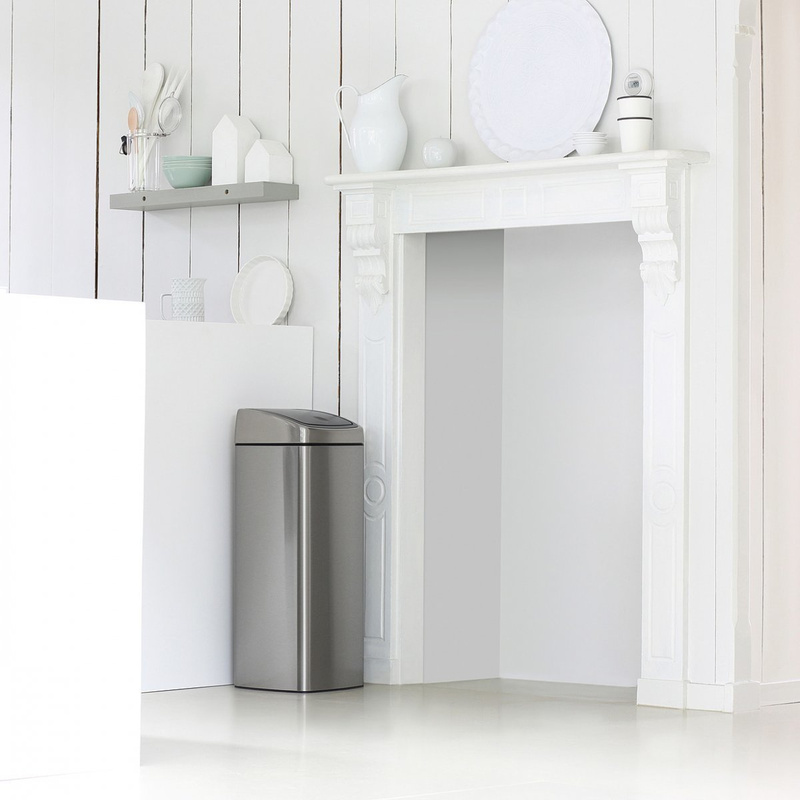 Its simplicity makes it perfect to be put on display anywhere in the house. 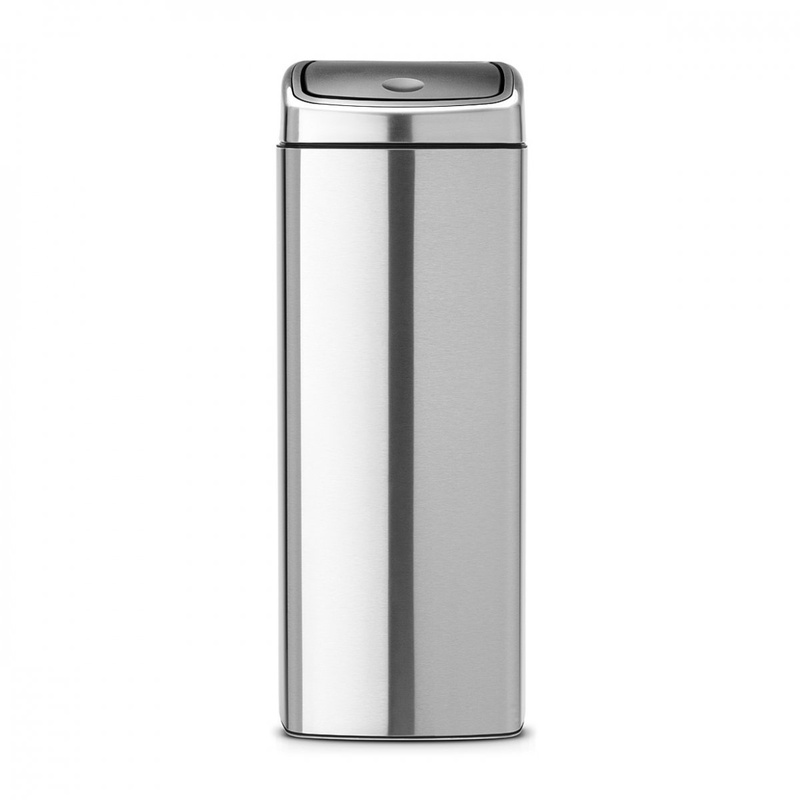 Don’t bother hiding it under the sink or elsewhere out of view since it doesn’t give off unpleasant odours and is quite easy on the eyes. It becomes part of the furniture layout and enriches it with a modern touch and shine. 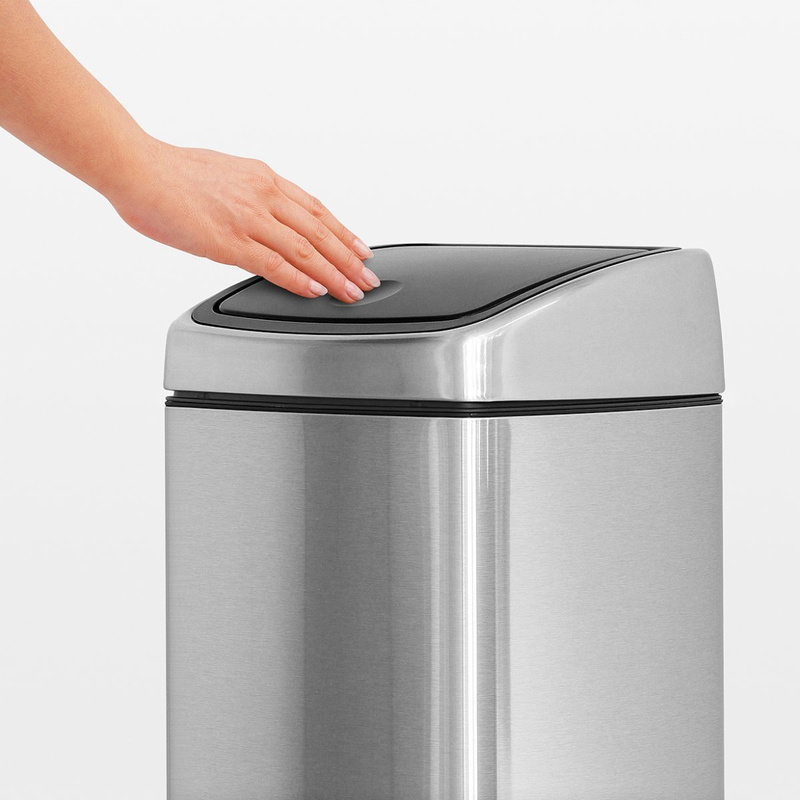 The Touch 25-litre rubbish bin has a soft-touch opening with just the touch of your fingers. The lid is entirely removable for easy replacement of the inner bag once full. 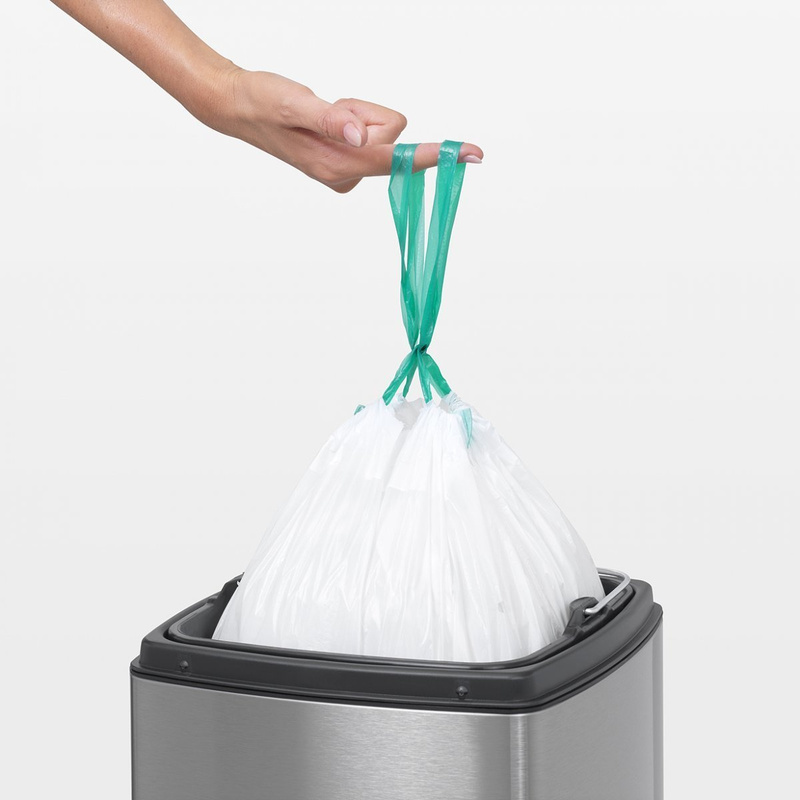 This rubbish bin is sold with a set of test bags with straps (code G) made specifically for this product. 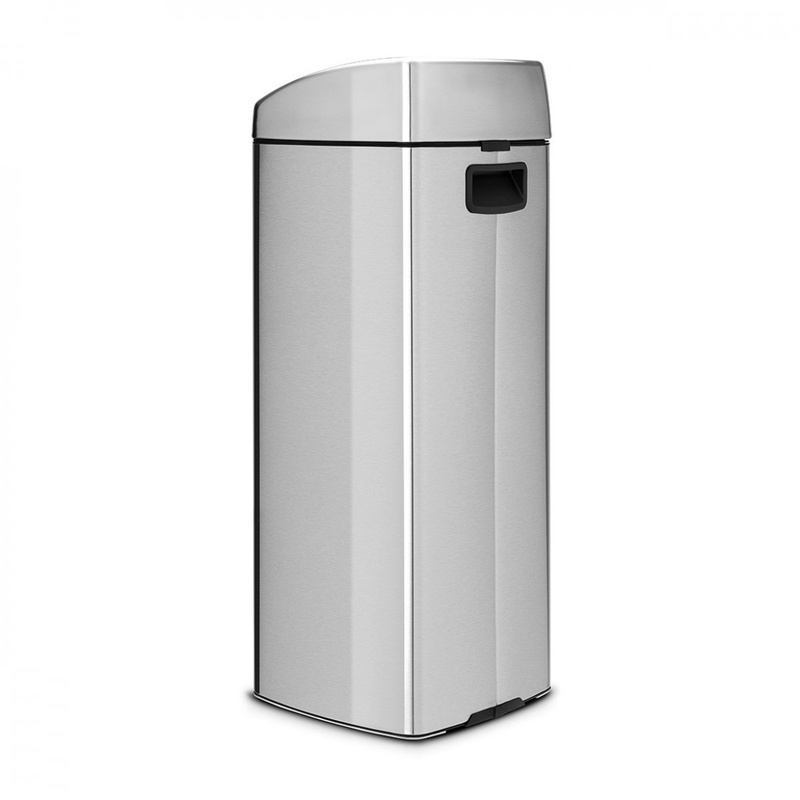 The inner bucket of the Touch 25-litre rubbish bin is easily removable and therefore facilitates periodic sanitation. 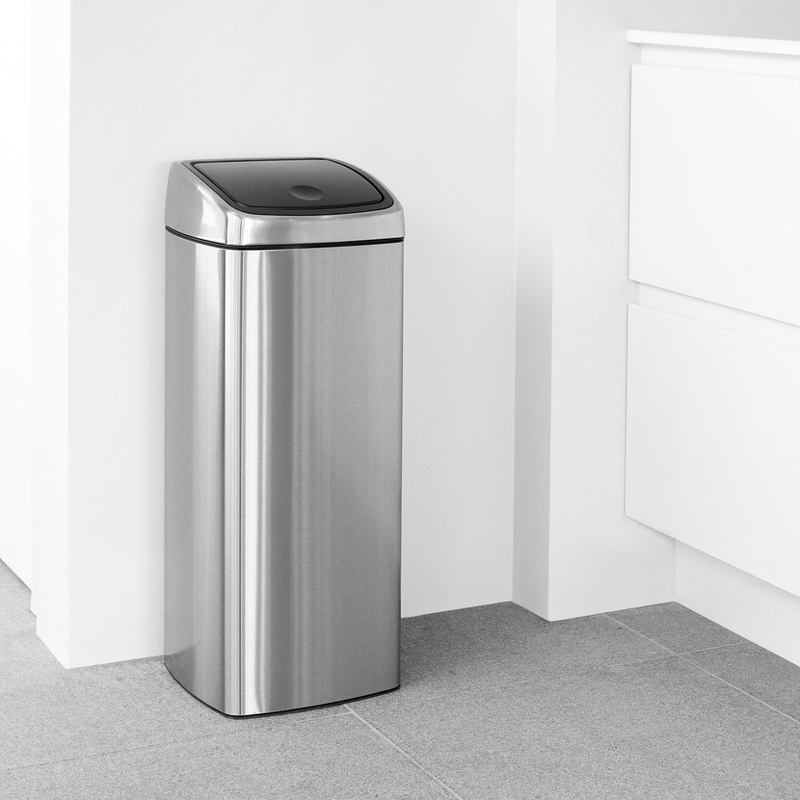 As a matter of fact, constantly keeping the bin clean will prevent both the spread of bacteria and resulting odours in your home. The base plate is scratch resistant and can be placed on top of any type of flooring, from wood to parquet all the way to natural stone. 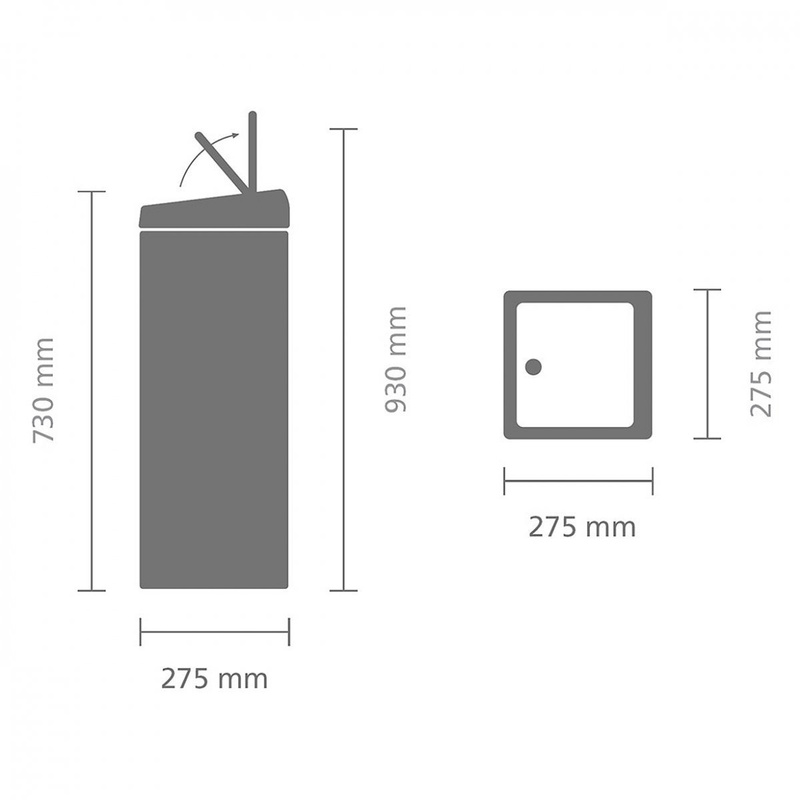 All this without will let you rest assured without fearing any damage to valuable tiles or other expensive materials. 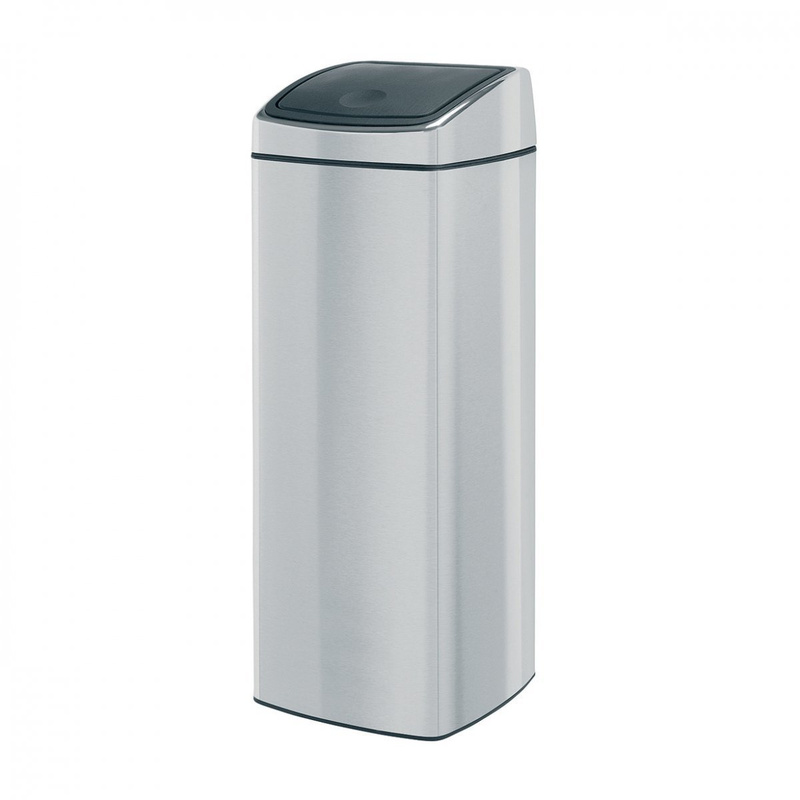 Info: the open rubbish bin is 93 cm high.